This highly decorative chart is one of the earliest dated Dutch manuscript charts of the Indian Ocean. Wall charts like this were displayed on the walls of shipowners and rich merchants. Areas of the land and sea with colourful figures, cartouches, flags, heraldic devices, compass roses, ships and sea monsters. 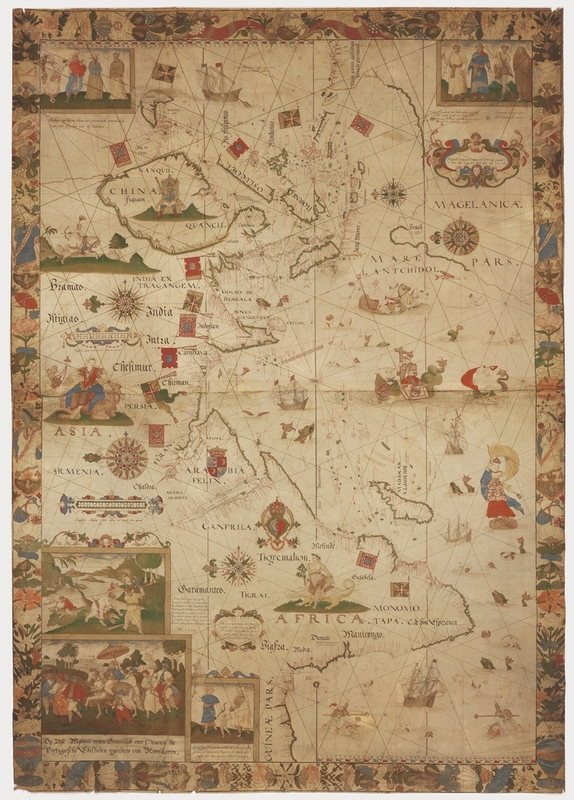 The map and many of the illustrations are based on Jan Huyghen van Lindschoten’s 1596 Dutch publication Itinerario, which includes detailed maps of his voyages to the West Indies and India.